While everyone wants that perfect and flawless makeup, having oily skin can be a real obstacle to achieving this, for many of us. No matter just how much oil-free cleanser or oil-control lotions are used, the biggest problem is training the glands to secrete less oil. But despite this, there is still hope for those with oily skin and acne attacks. Thanks to face primers, a product that ensures the makeup stays in place are finally achievable. Primers are perfect for oily skin. Why so? Quite simply because they create a velvet-like base for makeup and ensure it does not melt. It also lessens the appearance of the pores, so a flawless, sought-after look results. How Does a Primer Work? Specifically, a primer acts as a makeup or foundation base that ensures skin appears even and smoother. It serves to act like glue, holding the makeup and the skin in place for hours at an end. Further, a primer also lessens the chances of fine lines from appearing and gives open pores and dark circles a miss. It is perfect for an even, flawless base for makeups to glide on. Wearing a primer before applying makeup is of critical importance. Primers for oily skins can also fend off pimples and acne outbreaks. For those who want to benefit from primers for oily skin, here are the top 5 choices. Mac Prep and Prime Skin Base Visage is an extremely lightweight, gel-oriented primer for neutralizing redness on the face and adding a brilliant shine to it. It also lessens the chances of pores or dark circles from dotting the skin, besides making the texture of the skin matte. It has optical diffusers that weed out imperfections and ensure the skin looks extremely even. Mac Prep and Prime Skin Base Visage remain on for eight to nine hours. A lightweight gel-lotion formulated with silicones with special effect. It evens out the skin tone and redness of the skin while boosting radiance. It also improves the application and lay down of powder or foundation. It reduces the appearance of skin redness by about 14 percent. It also evens out the skin tone by 20 percent. It further improves radiance by 22 percent. It is suited to different skin types. Additionally, it is non-acnegenic and oil-free. Mac Prep and Prime Skin Base Visage are rich in aqua. Acrylates copolymer, butylene glycol, sodium laureth 11 carboxylate, sodium lignosulfonate, glycerin, Polysorbate 80, potassium sorbate, alcohol denat, sodium laureth-12 sulfate, Phenoxyethanol, EDTA, Methylparaben, Ethylparaben, Propylparaben, Red 40- CI 16035, Black 2 CI 77266. 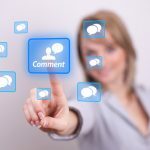 The user experience for this Mac product has been largely positive. The ratings point to the benefits of using this non-acnegenic product. However, it has been criticized for not using SPF and containing micro-glitter that is a real problem with light coverage. Another plus point is that only a tiny amount is required. Makeup that lasts longer and does not get uneven as time traverses. Only a tiny amount is needed. Comes with a pump and is therefore hygienic. Lacks a strong or disturbing fragrance. It also comes with attractive packaging and the presence of subtle shimmer particles. It also gives a luminous and healthy glow to the skin and comes with its own pump dispenser. It does not mattify well and tends to give a dewy look if a heavy-handed application is used. Does not work out well for cleansing pores for some. Protect SPF does. However, it has a different texture and consistency. It is extremely pricey and expensive. It controls oil decently but does not work beyond a certain degree. The texture is not as smooth as primers tried so far. The Mac product has limited availability. It contains micro glitter which shows up if there is light coverage. The Mac Prep and Prime Skin Base Visage are extremely beneficial for the oily skin type. It offers a lot of oil control and the superior finish associated with the Mac Brand. Buy this oil control primer if you want superior results. 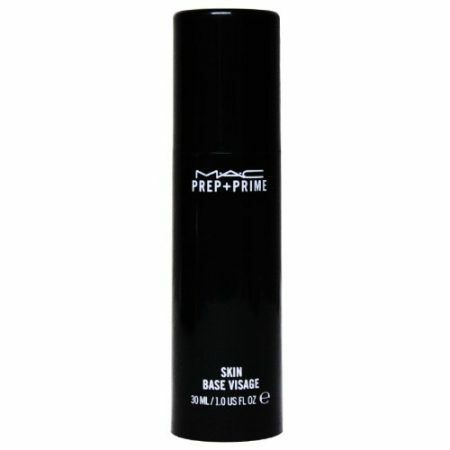 To buy the Mac Prep and Prime Skin Base Visage, try the next link. The Benefit PoreFessional Matte Rescue Primer for Oily Skin is an extremely amazing product. It is lightweight and comes with a water-based gel formula holding makeup for a longer period of time. This lowers the visibility of open pores and absorbs excess oil. It also contains diamond power, known for its soft-focus pore blurring impact. It is an essential product for those with oily skin. This is a lightweight oil-free primer with a creamier pre-base pick. It skims over high slick portions of the face and blurs pores in one fell swoop. It is easier to blend, colors adapt to different ranges of skin tones and one gets smooth and even finish. The primer lasts for 7 to 8 hours. It minimizes the appearance of fine lines and pores and ensures the makeup stays on. This super silky texture leaves the skin shine free and exceptionally smooth. Additionally, vitamin E in the formula protects skin from free radicals that cause damage. Additionally, matte rescue minimizes the pore’s appearance. The aqua-based, lightweight gel combats shine and absorb excessive surface-level facial oils, leaving a finish that is naturally and cent percent matte. The skin also feels refreshed and smooth. It even contains a diamond powder known for pore-blurring, soft focus effect. It mattifies the skin instantly, and the skin feels refreshed and clean. It also absorbs excessive oil. The Benefit PoreFessional Matte Rescue Primer for Oily Skin contains aqua, propanediol, glycerin, silica, butylene glycol, Peg-60 hydrogenated castor oil, Phenoxyethanol, acrylates, dimethicone or vinyl dimethicone crosspolymer, Dimethicone, fomes Officinalis (mushroom extract), alcohol, pentylene glycol, methyl trimethicone, polymethylsilsesquixane, C10-30 alkyl acrylate crosspolymer, parfum, Tetrasodium EDTA, sodium hydroxide, sodium hyaluronate, Peg-40 hydrogenated castor oil, limonene, diamond power, BHT and tocopherol. The Benefit PoreFessional Matte Rescue Primer for Oily Skin staves off oily skin besides offering a cooling sensation. It has been rated as an effective primer for oily skin, besides also mattifying instantly. It also minimizes the pore visibility making it the ideal choice. Keeps the skin oil-free all day. There’s a cooling sensation on the face. The finish is matte, which may not work out well for those looking for a smooth or polished look. 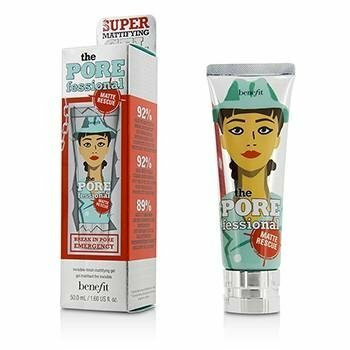 Benefit PoreFessional Matte Rescue Primer for Oily Skin offers a lot of benefits for beauty shoppers. It is the perfect primer for offering an instantly mattified look and also minimizes the size of the pores and smoothens their appearance. To buy the Benefit PoreFessional Matte Rescue Primer for Oily Skin, try the next link. Using hydrated silica, excess oil can be absorbed without impacting the skin’s moisture through this Jane Iredale Absence Oil Control Primer for Oily Skin. It also helps to balance the pH levels of the skin. It even smooths the visibility of pores and reduces fine lines. The primer for oily skin not only calms and soothes the complexion, but it also lessens skin redness. It is offered with a sleek mirrored compact with magnetic closure and sponge separator. This transparent Jane Iredale product is lightweight and offers weightlessness on the skin. Additionally, hydrated silica helps to absorb excess oil from the skin without impacting the moisture content. It reduces skin redness and helps in restoring the pH balance of the skin. One gets a smooth and even consistency with this exceptional primer. It also comes with a PoreAway technology that reduces the appearance of the pores and the shininess of the skin. Mineral technology lets the primer flawlessly blend to the skin tone and makes touching up make up simple as can be. It is also extremely gentle for sensitive skin. The primer contains grapefruit extract. This promotes skin radiance. Additionally, green and white tea extracts fend off aging and fine lines. One ends up with smooth matte finish lasting across the day. This primer also controls sebum and overpowers shiny skin, leaving the skin with a smooth surface for the application of mineral-based powders. It also gives off true color by forming an attraction barrier between the makeup and the skin, so makeup remains on for a longer period of time and skin remains shine-free. This Jane Iredale Absence Oil Control Primer comprises ethyl macadamia, hydrated silica, boron nitride, Triticum Vulgare or wheat starch, titanium dioxide, tribehenin, capric triglyceride or caprylic, Macrocystis pyrifera or kelp extract, Punica Garantum or pomegranate extract, Salix alba or willow bark extract, camellia sinensis or green leaf tea extract. It also contains the lilac extract or syringa vulgaris, Carthamus tintorius or safflower seed oil, Bisabolol, isostearyl neopentanoate, ozokerite, mica, cera, alba or beeswax, Candelilla wax or Euphorbia Cerifera and ascorbyl palmitate. The Jane Iredale Absence Oil Control Primer has the power to control oil and works for all skins as a primer. It is perfect for oily skins to control shine. The basic reason for makeup color change is oil. Absence helps to control the extra active sebaceous glands and has no impact on actual water content or moisture of the skin. It offers control over oil and conceals the larger pores while priming for oil control. It is perfect for reliving an unwanted shine while applying makeup. It is also non-drying and pH balancing. It is suitable for oily and acne skin, but can also be used by normal skin kinds. The Jane Iredale Absence Oil Control Primer provides a color-neutral, sheer finish. It offers a smooth matte finish and contains a number of beneficial ingredients such as green tea, white tea extracts, and grapefruit. It also fills pores and softens lines to ensure skin looks smooth and even. It heals the skin as well. It serves to clog pores on skin that is extremely oily. It needs to come with a thinner consistency. It lasts for 4 to 5 hours only. It leaves a white overcast if there is too much application. The Jane Iredale Absence Control Oil Primer is an exceptional beauty product. It serves to heal the skin by filling the pores and eliminating fine lines. It even provides a color-free, sheer finish. It contains a wide number of ingredients that add value such as green tea and white tea extracts which are rich in antioxidants and fend off damage. To buy Jane Iredale Absence Oil Control Primer for Oily Skin, try the next link. The bareMinerals Prime Time Oil-Control Foundation Primer helps in controlling oil production and creating a smooth canvas for a foundation application that is flawless. It also minimizes the appearance of fine lines, wrinkles, and pores. It is recommended for the sensitive and acne prone skin. The bareMinerals Prime Time Oil-Control Foundation Primer is created using natural ingredients. It is engineered to be the best companion to the original mineral foundation, prime time. It is an effective face primer suited for different forms of face makeup and skin types. It comes without any preservatives, fragrance, oil or skin irritants. It also glides smoothly onto the skin sans stickiness and smoothens out the complexion before the foundation is applied. This oil control primer contains Eau or water, zinc PCA, hydroxypropyl methylcellulose, Chlorphenesin, and phenoxyethanol. It also contains silica, adipic acid, neopentyl glycol crosspolymer, Acrylates C10-30 Alkyl acrylate crosspolymer, sclerotium gum, caprylyl glycol, dimethicone, calcium silicate, VP/VA copolymer, amodimethicone, sodium hydroxide, ascorbic acid, tocopherol. Calcium pantothenate, aloe barbadensis leaf extract, Matricaria recutita or chamomile, and licorice or Glycyrrhiza glabra. This primer has been highly rated by a vast number of users. The bareMinerals Prime Time Oil-Control Foundation Primer is infused with nourishing ingredients that are 100 percent natural including vitamins E and C, soothing plant extract and antioxidants. This popular foundation primer is a critical part of daily makeup regimens, as it reduces excess oil and fends off enlarged pores and fine lines, offering smooth, satin-like feel to the skin. It fends off rough patchy skin, skin flakes and dryness. It also fends off fine lines, excessive oil, uneven texture, and enlarged pores. It extends the wear of the foundation, keeping skin looking fresh for longer time periods. It also soothes and nourishes with plant extracts, vitamins C and E as well as potent antioxidants. It is also free of irritants and preservatives so skin feels wonderful. Additionally, the stickiness is eliminated as the formula just glides on. It forms a protective barrier between skin and makeup and is designed for sensitive skin. The bareMineral primer extends the wear of face makeup including mineral foundation. It is also dermatologically tested and formulated sans preservatives, additives, parabens, oil, skin irritants or fragrance. It has the ability to control oil and create a smooth base. The primer lasts for just 4 to 5 hours. The formula also tends to be somewhat watery. It feels sticky and can cause breakouts. The bareMinerals Prime Time Oil-Control Foundation Primer is excellent for warding off oily skin and ensuring oil-free makeup. The formula is oil-free makeup primer with a difference. It also has a lightweight feel. To buy bareMinerals Prime Time Oil-Control Foundation Primer, try the next link. The Smashbox Photo Finish Foundation Primer is oil-free and offers a thin, clear primer that is weightless on the skin. It vanishes between the face and the fingers and is slightly matte, not dried out. The Smashbox Photo Finish Foundation primer is free from suffocation. It feels so light that dusting powder is not required. For oily skin, this can even be used to smooth it on instead of moisturizer, drier types of lotions. The cream sinks in and can be swept up without any issue of bad chemistry. 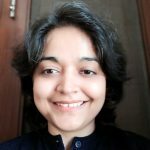 If the skin gets dry and dull, it looks too matte. This primer is good for various skin types ranging across normal, oily, dry and combination. This mattifying face primer controls shine and oil for about 12 hours. It is formulated by sans parabens, oil, fragrance, talc, alcohol, and phthalates. The ingredients range across Ethylhexyl hydroxy stearate, hydrogenated polyisobutene, polysilicon-11, Dimethicone, triethylhexul trimellitate, polymethyl silsesquioxane, hydroxystearic acid, HDI/ trimethylol hexyllactone crosspolymer, methyl methacrylate crosspolymer, nylon, silica, Gossypium herbaceum. This product is cent percent vegan. It is parabens and phthalates free. The primer is also free of talc, alcohol, fragrance, oil, and sodium lauryl sulfates. The Smashbox Photo Finish Primer stick primes, preps and smooths the skin. It blurs the imperfect look and controls oil and shine for about 12 hours without drying the skin. This makes sure that makeup is put on flawlessly, and that it lasts longer and looks better. With the tug-free application, it glides onto the skin and is lightweight as well as silky smooth on the skin. Further, it is designed to be ultra-portable, and easy to carry. The product has minimized oil and shine. It is non-drying and can be easily applied. It makes the skin feel smoother. It prevents pores from clogging and blurs imperfections. It enhances the performance of the foundation and is excellent for flawless makeup application. The makeup looks fresh throughout the day, as this oil control primer minimizes fine lines. Makeup lasts longer when the Smashbox primer is used. The primer preps and smooths the skin. It is ultra-portable, so you can stay flawless on the move. It controls oil and shines for 12 hours without drying the skin. Glides onto the skin with the tug-free targeted application. It also feels ultra smooth and silky as well as a lightweight on the skin. Its ideal for oily skin, vegan and long-lasting. It offers solutions for pore-clogging, fine lines, wrinkles, and oiliness. The primer is slightly matte, midway between a clear matte finish or a polished look. The Smashbox Photo Finish Primer is excellent for those looking for a cruelty-free, vegan product that is 100% natural. This oil control primer has longevity, staying power, and a lightweight feel, which makes it perfect for use with heavy makeup. 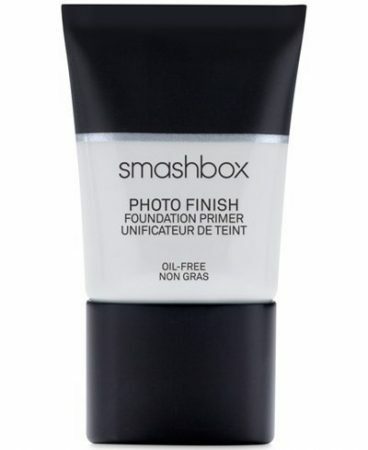 To buy Smashbox Photo Finish Foundation Primer (Oil-Free), try the next link. The beauty, wellness, and skincare industry are constantly introducing new products such as BB and CC creams, mineral foundations, setting sprays and an array of long-wearing formula. New beauty technologies are excellent in order to separate the wheat from the chaff. For some early years, no one had heard of primers. But now these are a rage among the elite beauties. Oily skin most definitely needs primers. Oily skin benefits from the correct primer more than any other skin. If you think of how a base coat is applied before polishing the nails, you will understand the concept of the primer. Makeup primer is smooth, slightly sticky and even with a surface, the foundation can adhere to. By gliding across subtle skin imperfections and fends off oil, the right primer can give a fresh start to the complexion a new start. This is beneficial for those with oily skin, who often find oil breaks through the foundation even before a few hours transpire. The secret to persistent makeup perfection on an oily skin focuses on getting the sebum under control. Oil-fighting primers absorb more oil without clogging pores or causing the skin to dry up. Forgetting the most out of a favorite foundation, start with a makeup routine that includes oil primer. Primers can be easily applied in a thin, even coat to the face As primers even out the skin tone, one may use less foundation. There are many different kinds of primers based on variables such as making large pores disappear. Try color correcting primers for oily skin. Try green primers tend to diminish red hues. 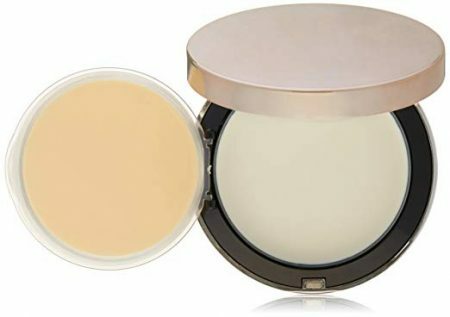 Yellow primers work to lighten dark patches and under eye circles. Applying the primer to the skin is a time-consuming step in the routine, but a face primer is really important. The pre-foundation primer is perfect for smooth, flawless, and exceptional skin. Using the primer prior to the foundation involves changing the makeup. It erases imperfections and fills in large open pores, finer lines, uneven texture to yield a perfect base for your makeup. The key ingredient, in this case, is silicone, a colorless water-repellent substance that serves as a basic coat for the skin. It feels smooth and does not come in the way of makeup or stand in the way of the pores, making it the perfect option for various skin types. Further, primers can mattify oil-covered areas and prevent the shine. Foundation disappears on the oily skin within just a couple of hours. The sebum and liquid do not mix, meaning imperfections are concealed. The best part about a primer is that it unblocks or unclogs the pores, minimizing the shine and preventing oil from disturbing the makeup. When it is smoothed over clean skin, it works like an invisible sponge soaking up more sebum on the contact and ensures noticeable problems don’t take place. The primer also corrects redness or shallowness of the complexion, smothering it with a liquid foundation offers a real problem. Rather than choosing heavy makeup, choose a tinted primer that color corrects and minimizes any problem areas without causing unnatural uniformity to the skin. Yellow or green tints work well on toning down redness while soft lavender or peach shares counteract dark spots, leaving a luminous complexion. It follows with the foundation in areas one requires and the degree of the healthiness of the skin. Regardless of which formula you choose, a foundation always improves the staying power of foundation. Natural oils present in the facial skin break down base products that are long wearing by applying primer between the two to give the foundation something to stick to. Providing a smooth, clean, oil-free base for makeup is the best action. A primer ensures the foundation sits on the face the whole day without touchups at lunchtime. Oil control and complexion perfections are some of the benefits of primers, but these also provide extra hydration. Moisturizing agents like hyaluronic acid and glycerin add long-lasting hydration to the skin while providing all the skin smoothing properties. If there is sun damaged or mature skin, the dewy finish is the result of using a moisturizing primer. While applying a particular primer, rubbing or massaging the primer into the skin excessively should be avoided. Instead, it is important to ensure it smoothens over the skin in long, sweeping motions and set it aside for some time before persisting with the rest of the routine. This ensures the primer functions effectively and creates a strong foundation base. Hours can be spent on makeup only to wear off in cold, hot, or windy seasons on account of oily skin. This is tough but the best primer for oil control is an excellent way to combat the makeup quickly. There are so many different primers available. Many have been formulated for oily skin. This makes it harder to find the best one, especially if it is the first time one is looking for one. The primer is used to create a smooth and even foundation for makeup. It serves as a barrier to protect makeup for additional oils that cause running or wearing away over the day. 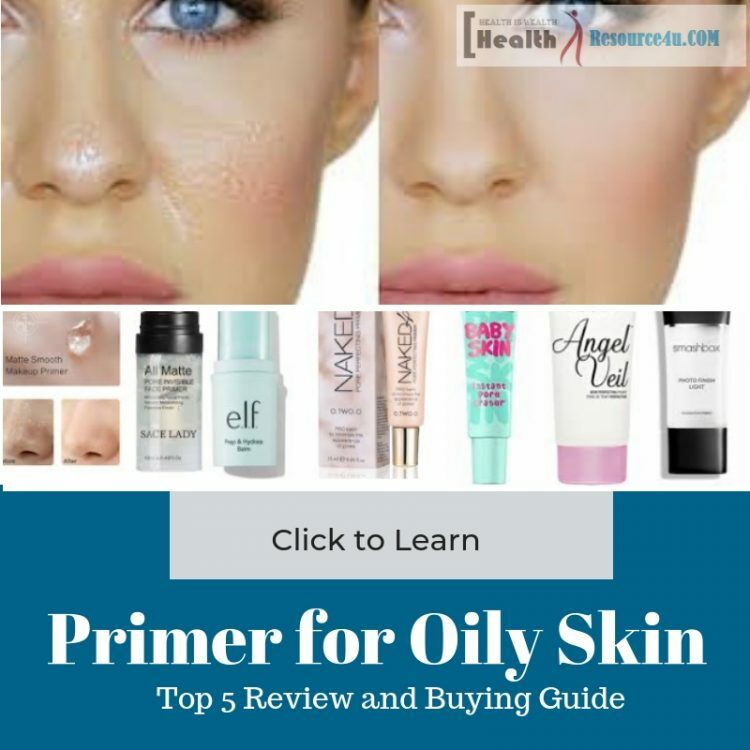 Numerous important factors need to be considered before purchasing the next primer, to ensure the best choice for the skin type and environment. Your primer should be free of synthetic ingredients or dyes that aggravate the oil glands. Oil-free, noncomedogenic primers can help the skin to look dry, fresh and healthy. Choose a smooth, easy to spread formula that glides over your face and is not too thick. Another factor to consider is the setting to which the skin will be exposed so that makeup has to withstand factors like hot temperature or humid conditions. Heat and humid conditions cause makeup to melt or wear off quickly. Cooler environments need primers which can combat this. For sunny or humid environments, primer with SPF protection in areas where one sweats or it rains a lot requires sweat proof, water resistant capabilities. The primer should last for a minimum of 8 hours (4-5 hours is not beneficial) even with oily skin. Check different brands to see which works best for your skin type. Be sure the makeup does not wear off. Primers are needed for higher temperatures, as you need to check for sure how yours holds up in various environments. Don’t re-apply it across the day unless it is required. Before selecting a primer, consider if there are skin issues like acne. Don’t exacerbate the skin problems, sensitivities or allergies by choosing and buying the wrong primer. For those with acne, it is essential to find a primer that contains anti-acne ingredients like salicylic acid. Skin tone and type should also be known before buying a primer. For those with healthy skin, there is generally no problem. But for those with oily, dry, sensitive or aging skin, it is important to find a primer that works for the better, not the worse. For those with oily skin, a matte primer is the best deal. It adheres well while aging skin could do with antioxidants and dry skin could benefit from moisture locks. Sensitive skin needs natural primers with fewer additives. A primer is a wonderful base for every makeup you put on your face. There are multiple reasons to use primers for the face on a regular basis. Yet many women do not consider the value of a primer and don’t even know how to choose or apply one. If you want to cover wrinkles and fine lines, shiny and oily skin, acne scars, discoloration or more, choosing the right primer for the correct purpose is important. Carry out research, read the label and purchase the primer to know what you will use it for. Check if your skin is oily, dry, sensitive or normal. Different primers are available for different types of skin; choose the primer that suits you best. For oily skin, a primer with mattifying properties or salicylic acid is the best bet. For dry skin, a gel based or illuminating primer is important. For normal skin, you need to focus on combinations until you find what you like best. Your primer and foundation should have the same base – oil or water – so these do not repel one another. When purchasing the primer, apply some on the hand. Once it dries, out on the foundation. If it spreads quickly, there’s a good match. Washing the face off all impurities before applying the primer is important. Use gentle cleansers and use clean hands. A primer does not work like a moisturizer, even when it contains moisturizing properties. A moisturizer ensures the skin remains supple and soft. The moisturizer gets completely absorbed before commencing with the primer. Start with a small amount. Using excessive primer can cause the foundation to clump. A small sized amount should be enough to cover the neck and face. Dab the primer at the face’s center and blend outwards in circular, gentle motions. Ensure the hairline is covered as well as other areas like ears. Apply a thin layer on dry lips to ensure the lipstick remains fresh as well as bold and prevents it from sweeping the fine lines of the mouth. Skip the foundation as primers work to help pores and the complexion. If you do not want to skip it, wait for the primer to set first. This way, you will need less foundation than earlier indicated. Set the foundation with translucent powder and you can move across to applying the eyeliner and the rest of your makeup.